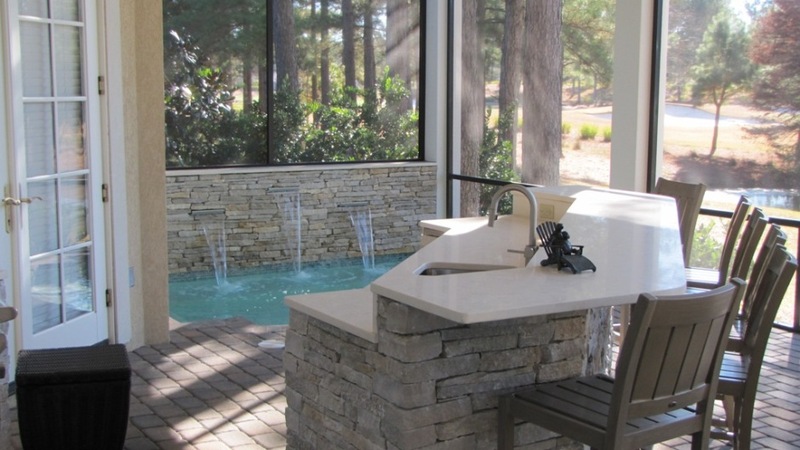 Camp Pool Builders wants our clients to know how to maintain their pool components. Here we discuss the basic pool component instructions. Please contact us for additional information. The hair and lint pot or “basket” MUST be kept clear of debris. If left unchecked, a pump can burn up and circulation can be seriously compromised. Turn off pump; remove pump lid. Clean and lube “O” ring with a water repellant lubricant. Replace lid and tighten by hand. DO NOT OVER-TIGHTEN! Release air from filter, using the air relief valve located on the top of the filter. Leave valve open until a continuous stream of water flows from the valve opening, then close the valve. Release air from filter, using the air relief valve. Leave valve open until a continuous stream of water flows from the valve opening, then close the valve. Open air relief valve on top of filter and open drain cap on bottom. CAUTION: the air bleeder valve should always be open before releasing any clamp on the filter system. Loosen knob, then remove clamp assembly and lid. Remove by unscrewing the plastic cap with strainer. Remove plastic washer and plastic cartridge adapter. Remove cartridge by lifting upward. The filter cartridge can be cleaned with a garden hose. Set hose for the highest velocity and direct spray at proper angle to remove dirt and debris. The cartridge can also be soaked in a solution of TSP cleaner. If the cartridge pleats are calcified, you can clean them with a solution of 1 part muriatic acid and 4 parts water. Be sure to soak and clean them completely afterwards. Install clean cartridge over center of bottom adapter. Replace the plastic cartridge adapter and plastic washer. Replace the plastic cap with strainer, hand tighten only. Clean tank “O” ring and place tank top on the filter. The tank should rest on the “O” ring seat area. Position tank “O” ring and place tank top on the filter. The tank should rest on the “O” ring evenly. Replace clamp band assembly with bolt and knob. Tighten until the spring is completely depressed. The filter is not ready for operation. Refer to filtering operation to start new filtering cycle. Make sure to bleed the air out of the filter once the pump is running. An extra set of filters will come in handy. Three-way valves are used in situations that require the ability to control water flow and direction on two separate plumbing lines. Your three-way valve connects one (1) inlet line and two (2) discharge lines. Loosen the lock knob to turn handle. The handle and the valve cover have interlocking teeth, so you must lift up slightly on the handle while turning to disengage. The OFF area on the valve handle represents the exact position of the internal valve diverter seal. This should be placed over the discharge pipe you want to close off. By closing off the line, you direct water to the other discharge pipe, thus controlling the operation of such things a spillway skimmers, cleaning systems, spas, etc. In the event that you want to cut down on the amount of water going through a pipe: adjust more or less as desired. When you have found the desired setting, finger-tighten the lock knob to secure the handle. 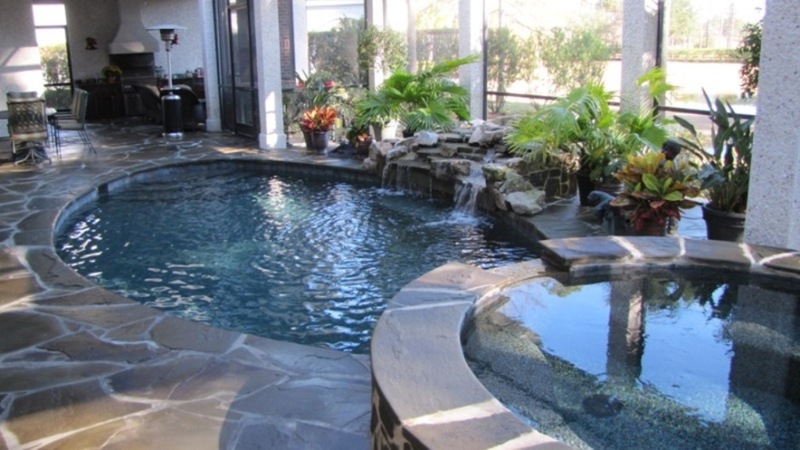 If your pool or spa has been equipped with an automatic fresh water fill line, it has been adjusted to the desired water level at the initial start-up of your pool. Remember, it is necessary that you leave the valve for the water leveler (located at the hose bib) open to supply the water-leveling device with a constant source of fresh water. 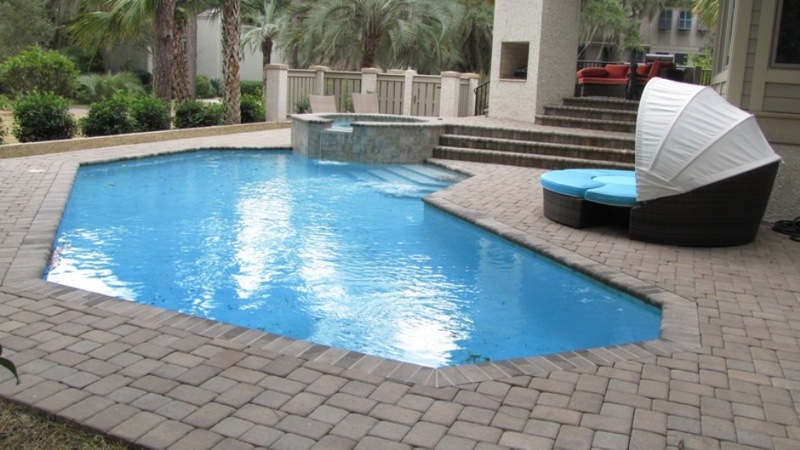 If your swimming pool or spa has come equipped with a fresh water fill line, there will be a vacuum breaker installed o the fresh water supply. The purpose of the vacuum breaker is to prevent back siphoning from the pool water or the fresh water supply. It consists of a single, spring loaded check valve and spring loaded air vent. Under normal operating conditions the check valve will open depending on the quantity of water flowing and the poppet will seal the air vent. Under low pressure, the poppet will open the air vent, thus breaking any vacuum. There is no necessary maintenance for the vacuum breaker and, in most cases, there should be no need to adjust the valves. Therapy jets are specially designed to allow air to be drawn in with the water through the wall fitting in the spa, creating the bubbling action that is found to be more relaxing to sore muscles. Occasionally, a small pebble or stone may find its way into the air line and end up lodged in the orifice of the therapy head, reducing or even eliminating flow. If this should happen, the orifice must be removed so that the debris can be removed. You will need a 12” socket wrench with an extension in order to get to the orifice. Place the socket over the orifice and turn to the left counter clockwise – one half turn. Once you have removed the orifice, let the pump run for a while to flush out any debris that was lodged in the pipe. Also check the orifice for debris that may have wedged itself into the opening. 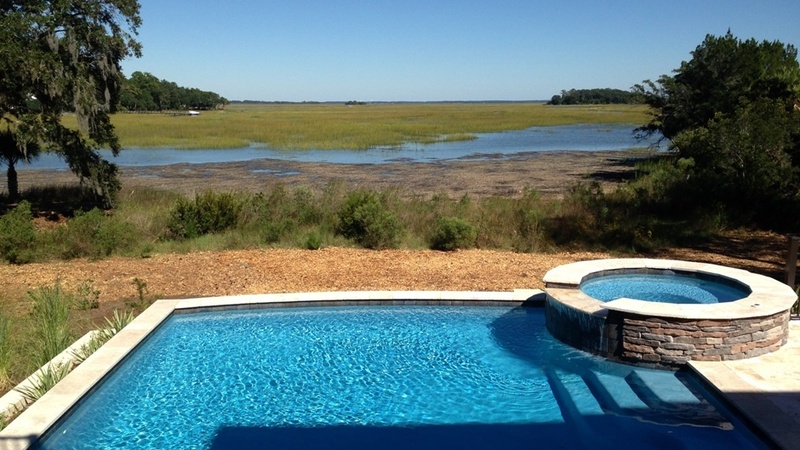 Contact Kevin Camp at (843) 683-2862 or fill out the form for a face to face meeting and property evaluation to help determine which type of pool will best suit your need.